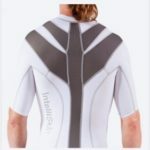 Introducing the IntelliSkin PostureCue V-Tee…The Workout You Wear to Work. 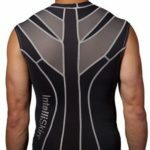 It is designed to be a daily undershirt to provide a comfortable posture enhancer for those with an active lifestyle. Once you try it on, the rest is history. Expect More From What You Wear.